Stephanie Strom’s article in the New York Times about hybrid organizations highlighted some of the challenges social entrepreneurs face as they innovate. Having experienced these challenges first-hand at GlobalGiving, we wanted to offer some additional thoughts about the trial and error process, and what it takes to keep iterating to Plan B. We originally structured GlobalGiving as a hybrid organization because we believed that doing so could bring the discipline and capital of the for-profit world together with the mission focus of the non-profit world. As it turned out, after the tech bubble burst, it was easier to raise funds for the non profit, which became the dominant partner. Respected innovative funders like the Hewlett Foundation, Omidyar Network and Skoll Foundation provided up $7.6m of grants to GGF specifically for the purpose of investing in MFI. The founders contributed $1.4m as well. It was structured as a convertible note until a 3rd party could set a price–that happened at the end of 2008, and the result is that GGF owns 98% of MFI (and the founders have donated the proceeds from their shares back to GGF). At that point, we decided to consolidate all operations under the GlobalGiving nonprofit umbrella, explained here in detail. As Ms. Strom notes, we believed so strongly (and still do!) in the power of connecting people, ideas, and resources that we were willing to put up our own money to get it started. Although our original business model is not our current business model, the bottom line is that it is working; GlobalGiving has now facilitated over $40 million to over 3,500 projects projects in more than 110 countries around the world. Thanks to the power of the internet, many of the community groups that list projects on GlobalGiving are able, for the first time, to reach out for ideas and support from around the world, not only their immediate neighbors. And we are doing this at a cost well below the cost of fundraising through typical mail, telephone, and other solicitation campaigns. There are few silver bullets in any endeavor. Rarely does a single approach to any problem prove to be magic. We make progress in the world through trial and error and through incremental improvements–punctuated by an occasional breakthrough. The wonder of it is that so many of the people we know in this hybrid space have been willing to try different things, and keep trying others when they–and we–run into roadblocks. That’s why we are proud of what we and our colleagues in this field have accomplished over the past decade, and we look forward to even more progress in the decade ahead. Dennis Whittle and Mari Kuraishi, co-founders. The New York Times reports there are now as many Africans with cell phones as there are people in America. This is something that we are very aware of at GlobalGiving. In fact, my biggest project over the next 6 months is to figure out how to make GlobalGiving more SMS-accessible for those 300 million Africans who have cell phones, but not necessarily electricity or running water. There are over 4 billion people with cell phones in the world today. Others, like TxtEagle founded by Nathan Eagle, have already started exploring how Africans with basic $20 mobile phones can be put to work. In the US, the Extraordinaries distribute an iphone app with the same goal in mind – crowd-sourcing simple tasks to anyone with 5 minutes of free time and a valuable skill, such as translating text from Swahili. Why would there be a big demand for swahili translators? 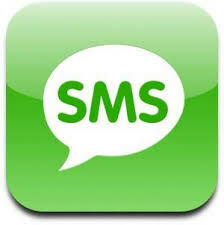 Because some day people in Africa might want to send text messages about their lives to others. I met with the FrontlineSMS guys recently to see if they might help GlobalGiving get those SMS text messages from people in African villages directly onto our GlobalGiving project pages. If you have ideas on how we can do this, or want to help us test various approaches, please let me know by commenting. We’re launching a new “shade” of GlobalGiving today – GlobalGiving Green. GlobalGiving Green looks at development through a green lens – and vice versa, for that matter – and enables you to support projects that are fighting poverty and dealing with climate change at the same time. Why are we doing this? The developing world faces a double whammy. Pretty much every country in the developed world has gotten to where they are through a carbon-intensive path, which if repeated would cancel out any other efforts to combat climate change. And developing countries are more likely to bear the consequences of global warming—things like flooding and droughts, or increased incidence of diseases like malaria. And there are indirect societal and political impacts too – Nicholas Kristof wrote about one of the more unusual ones earlier this year, linking unusual levels of rainfall in rural Tanzania to more women being accused of witchcraft. So, we partnered with EcoSecurities, a leader in emissions reductions markets, to evaluate how projects are doing with regard to climate change, and in areas such as providing sustainable economic growth, aiding the culture and environment of a community, educating future generations on green issues, and more. Twenty-four projects were initially selected to be a part of GlobalGiving Green, and on the website you can see how they do on elements ranging from use of innovative technology to creation of additional health and safety benefits. And we’re working with our amazing Project Leaders to help them understand how their proposed solutions to big societal issues can build a carbon-neutral path to development. It’s a small (but first) step toward creating a market-based incentive for green development to thrive. Through GlobalGiving Green, we hope people concerned with climate change can more easily find the best solutions for creating positive change, developing responsibly, and reducing harmful emissions. I came across this article on the New York Times and thought it was an interesting approach to giving – along the same line as knowing your donors and getting involved with things about which they are already passionate. Product (RED) is developing a digital music sservice, which is scheduled to launch in the fall. For $5/week, customers will receive three new pieces of exclusive music or audio content from some of industry’s biggest acts: U2, Bob Dylan, Elvis Costello, Elton John, Emmylou Harris and Deathcab for Cutie. While (RED) remains controversial for some, I applaud their approach because while I opened this post with an air of scholarliness – I was just perusing the New York Times and stumbled across this article – in truth, I found it on @U2 while I was looking for more information on rumored track called “The Cedars of Lebanon” on U2’s upcoming new album. I’m a perfect example: find out what people are already excited about and get involved. This weekend’s edition of the New York TImes Magazine focused on philanthropy. There are a number of worthwhile analyses – a great read all around.